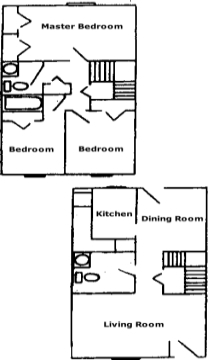 King sized two & three bedroom apartments and three bedroom town homes. These spacious apartments are a nice place to call home. Apartment size electric clothes washers / dryers available in each apartment. Heat, water and trash pick up paid. Water and trash pick up paid. Most have electric heat. $150 non-refundable pet fee and $20 additional rental for pets. All the apartments offer a patio or balcony and apartment size clothes washer / dryer. 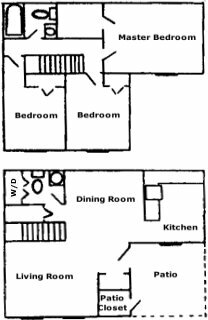 The town homes have spacious private patios and clothes washer / dryer hook-ups. 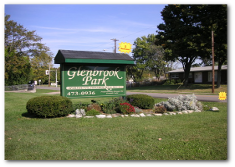 Click here to see information about the rental houses also located at Glenbrook Park.